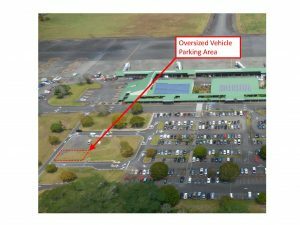 HILO – The Hawaii Department of Transportation (HDOT) Airports Division will be installing vehicle shelters over the parking lot entrance and exit lanes to provide shelter for motorists as they enter and exit the parking lot. To avoid causing damage to any vehicles or vehicle shelters, a vehicle height limiter bar will be installed at a height of 9’-6” at the parking lot entrance. 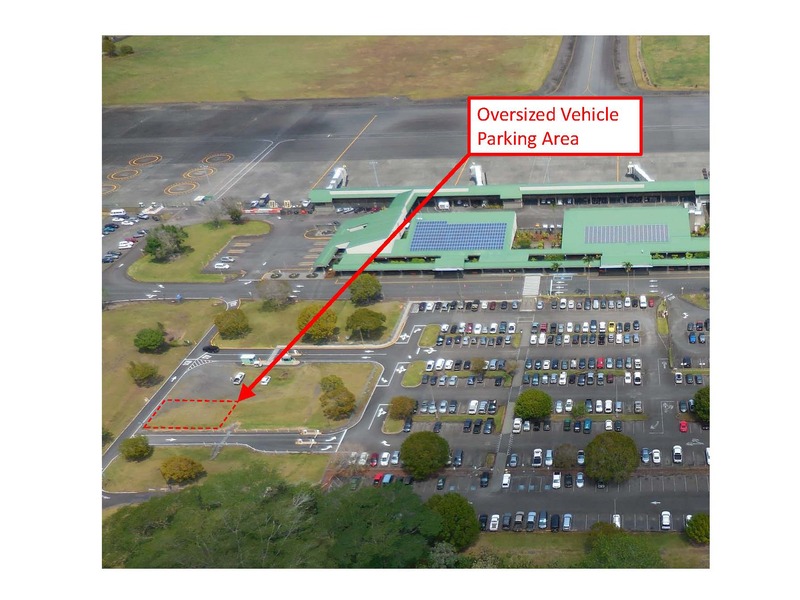 Any vehicles that are 9’-6” or more in height will no longer be able to enter the parking lot, and will instead need to park in the designated oversized vehicle parking area located near the Parking Attendant booth at the parking lot exit. Any vehicles that are 9’-6” or more in height that are currently parked within the parking lot will need to be removed from the lot by 10 p.m. on Monday, Apr. 8, 2019. Map of the designated oversized vehicle parking area.